Originating in Demark, Bambo Nature is a premium baby product brand providing gentle, soft, environmentally friendly range that includes nappies, training pants, wipes and skin care products. All of which are skin-friendly, eco-friendly and sleep-friendly! 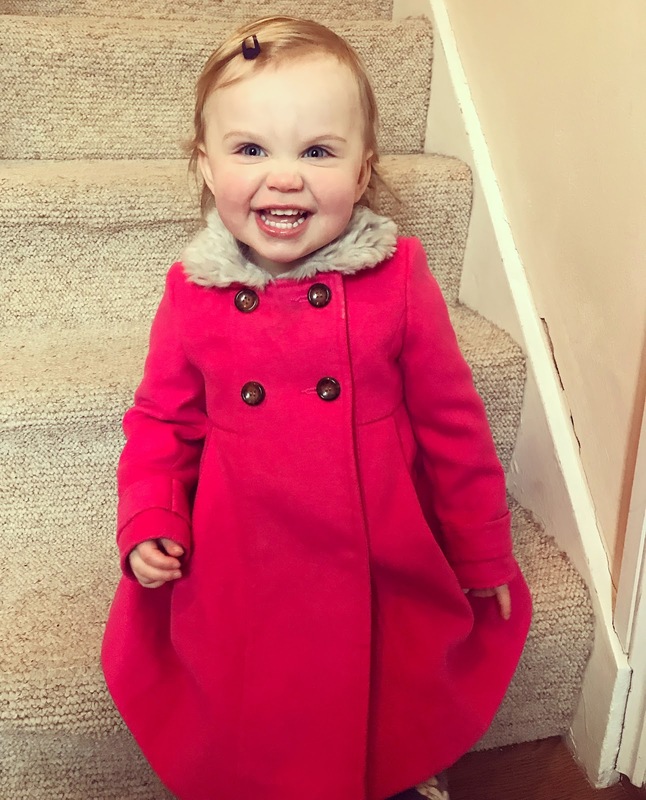 We've been road testing their nappies for Connie (22 months) and we're excited to let you know how we've been getting on. HOW did our baby girl get so grown up?? Connie, here age 21 months. A mountain of Bambo Nature Size 6 Nappies all ready for Connie to put to the test! 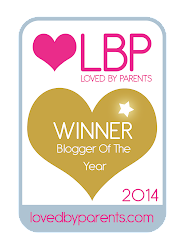 So, what should you know about Bambo Nature before we get into the product review stuff? 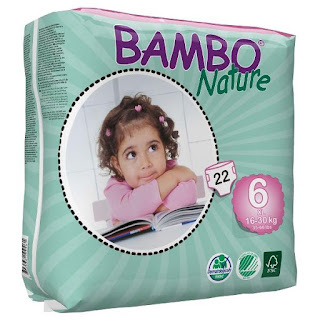 Bambo Nature takes great care to ensure their products are as gentle on the environment as they are on your child, for example, the fluff used within Bambo Nature nappies and training pants is environmentally friendly and comes from sustainable forestry, where more trees are planted than felled. If that’s not enough, 95% of all production waste at their factory in Denmark is recycled and the other 5% is used as fuel within the local surrounding communities. 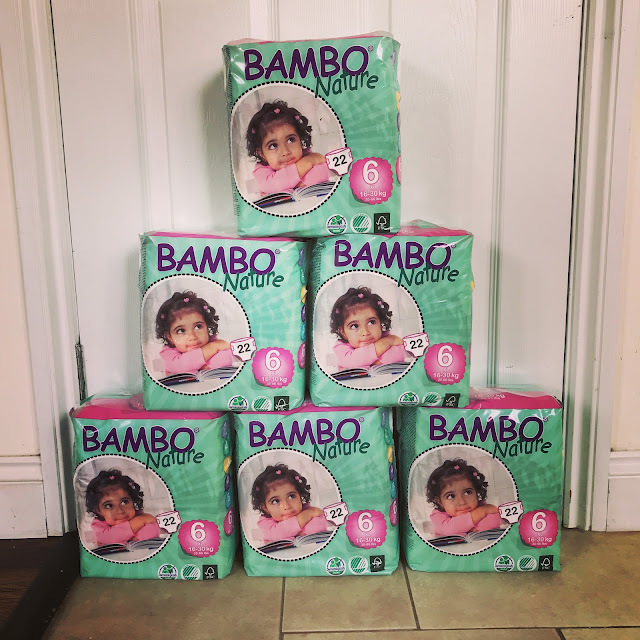 What I love about Bambo Nature is that you can be reassured that you are choosing a product that is not only good for your baby, but it is also good for the environment too! Double win! There are absolutely no colourants, parabens or perfumes used in Bambo Nature products; these are all unnecessary and could cause irritations – so to give you peace of mind they are left out of these products to ensure your child and their delicate skin has the best possible chance of remaining healthy and happy. All of the Bambo Nature products are dermatology tested making them an ideal solution if your child has allergies. And although we are yet to try them, Bambo Nature’s wet wipes are accredited with Asthma-Allergy label by the Danish Allergy Foundation and are your guarantee that the product is less likely to cause skin irritation or allergies. 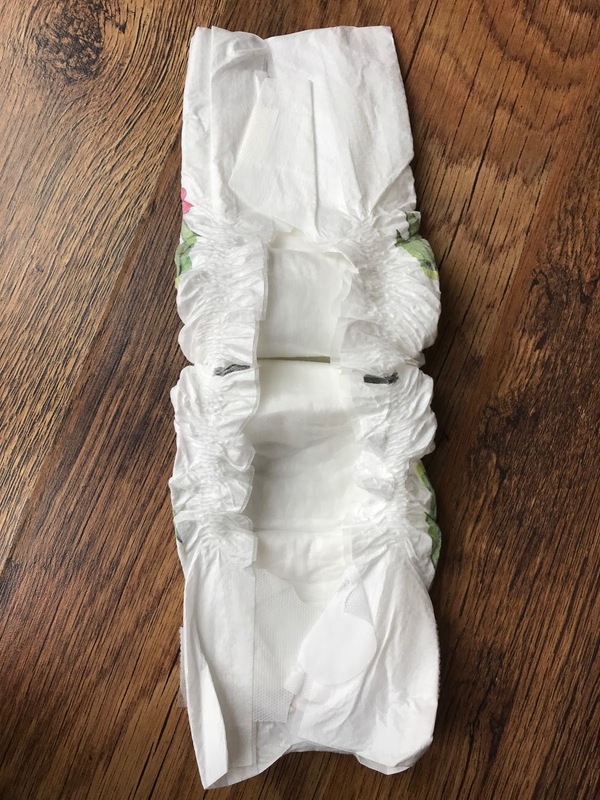 We've been using Bambo Nature Size 6/XL size nappies for Connie exclusively for 8 weeks now, and we have absolutely loved them. 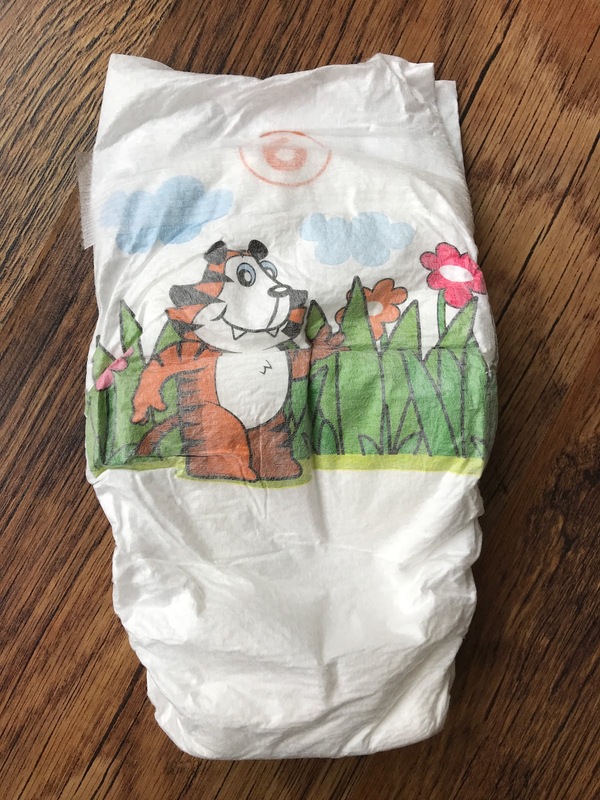 Not only have they been super reliable (not a single leak in 8 weeks), but they are also the softest nappies we've ever used. They have a super soft top-dry layer, which seems to really do the job for wicking away wetness. 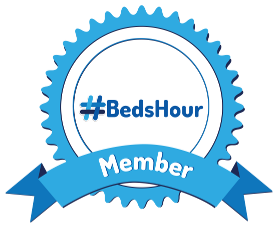 There is a fully-breathable almost textile-like back sheet which not only feels great when you're changing them, but must feel softer and nicer for baby too. Considering how absorbent they are, we have also noticed that they are really thin, and having read up a little on the Bambo website it seems they have created their thinnest ever core design, which is definitely noticeable and means that Connie can move about freely, without her nappy restricting her in any way - perfect for a very busy and active 22 month old. They also have a very flexible and stretchy side panels which mould to her (rather sizeable and gorgeously chunky) thighs - ensuring a perfect fit, and preventing any leaks. Flexible side panels and securing tapes on Bambo Nature nappies. 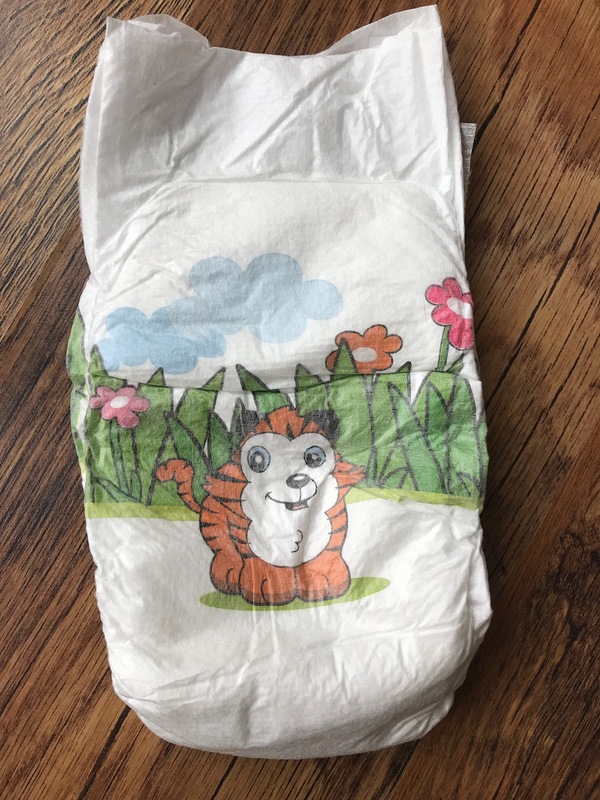 Oh they also spot ridiculously cute almost retro-feel designs of a sweet tiger, which Connie loves - she says 'Tiger ROARRRRR!' every time I change her, super cute! 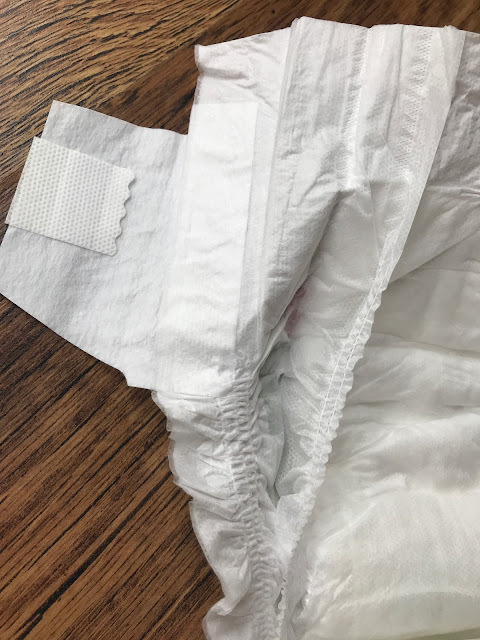 And they have a very clear size label at the top which is really handy for knowing what size they are currently in, and especially handy if you have multiple children in differing sized nappies. Other brands size labels are usually really hard to read/see - so a big thumbs up to this point. It is worth noting here that we have exclusively used Pampers for both Albert and Connie after trying supermarket own-brand nappies which always seemed to leak on us. So, I must say that I am thrilled to find an alternative brand that stacks up to a premium brand in terms of performance but can also offer environmentally friendly credentials and a competitive price point. A pack of 22 size 6/XL nappies from Bambo Nature cost £9.00. 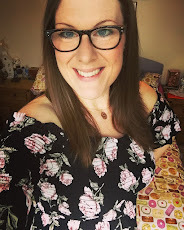 Bambo Nature have very kindly offered my readers the chance to try Bambo Nature for themselves by entering this generous giveaway. One winner will receive a whole case (that's 6 packs!) 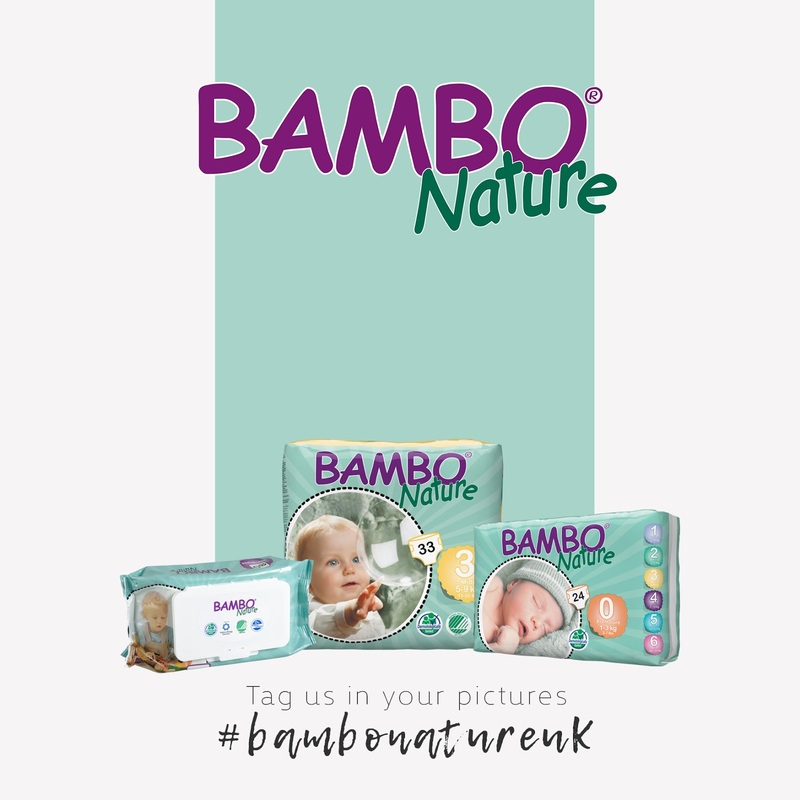 of Bambo Nature nappies in a size of their choosing, just enter via the Gleam App below. One winner will be selected using Gleam's random winner generator. I really appreciate for this great information. Thanks to your sharing, I can enrich my knowledge.I want to enjoy more and more about your writing. What was in our April Degustabox? What was in our March Degustabox?